Cybercriminals are weaponizing automation and machine learning to create increasingly evasive attack vectors, and the internet of things (IoT) has proven to be the catalyst driving this trend. IoT is the birthplace of many of the new types of automated bots and malware. At the forefront are botnets, which are increasingly sophisticated, lethal and highly automated digitized armies running amok on corporate networks. For example, hackers now leverage botnets to conduct early exploitation and network reconnaissance prior to unleashing an attack. The Mirai botnet, which was made famous by its use in the 2016 attack on DNS provider Dyn, along with its subsequent variants, embodies many of these characteristics. It leverages a network-scanning and attack architecture capable of identifying “competing” malware and removing it from the IoT device to block remote administrative control. In addition, it leverages the infamous Water Torture attack to generate randomized domain names on a DNS infrastructure. Follow-up variants use automation to allow the malware to craft malicious queries in real time. that can bypass black-box machine-learning models. In another example, a cybersecurity company adapted Elon Musk’s OpenAI framework to create forms of malware that mitigation solutions couldn’t detect. So how does a network security team improve its ability to deal with these increasingly multifarious cyberattacks? Fight fire with fire. Automated cybersecurity solutions provide the data-processing muscle to mitigate these advanced threats. cyberthreats were indicated as the primary drivers of this fiscal shift. In addition, the trust factor is increasing. Four in 10 executives trust automated systems more than humans to protect their organization against cyberattacks. Traditional DDoS solutions use rate limiting and manual signature creation to mitigate attacks. Rate limiting can be effective but can also result in a high number of false positives. As a result, manual signatures are then used to block offending traffic to reduce the number of false positives. Moreover, manual signatures take time to create because identifying offending traffic is only possible AFTER the attack starts. With machine-learning botnets now breaching defenses in less than 20 seconds, this hands-on strategy does not suffice. Automation and, more specifically, machine learning overcome the drawbacks of manual signature creation and rate-limiting protection by automatically creating signatures and adapting protections to changing attack vectors. Machine learning leverages advanced mathematical models and algorithms to look at baseline network parameters, assess network behavior, automatically create attack signatures and adapt security configurations and/or policies to mitigate attacks. Machine learning transitions an organization’s DDoS protection strategy from manual, ratio- and rate-based protection to behavioral-based detection and mitigation. A market-leading DDoS protection solution combines machine-learning capabilities with negative and positive security protection models to mitigate automated attack vectors, such as the aforementioned DNS Water Torture attacks made notorious by Mirai. By employing machine learning and ingress-only positive protection models, this sort of an attack vector is eliminated, regardless of whether the protected DNS infrastructure is an authoritative or a recursive DNS. The final step of automated cybersecurity is automated self-learning. DDoS mitigation solutions should leverage a deep neural network (DNN) that conducts post-analysis of all the generated data, isolates known attack information and feeds those data points back into the machine learning algorithms. DNNs require massive amounts of storage and computing power and can be prohibitively expensive to house and manage within a privately hosted data center. As a result, ideally a DNN is housed and maintained by your organization’s DDoS mitigation vendor, which leverages its network of cloud-based scrubbing centers (and the massive volumes of threat intelligence data that it collects) to process this information via big data analytics and automatically feed it back into your organization’s DDoS mitigation solution via a real-time threat intelligence feed.This makes the input of thousands of malicious IPs and new attack signatures into an automated process that no SOC team could ever hope to accomplish manually. The result is a DDoS mitigation system that automatically collects data from multiple sources and leverages machine learning to conduct zero-day characterization. Attack signatures and security policies are automatically updated and not reliant on a SOC engineer who is free to conduct higher-level analysis, system management and threat analysis. Automation is the future of cybersecurity. 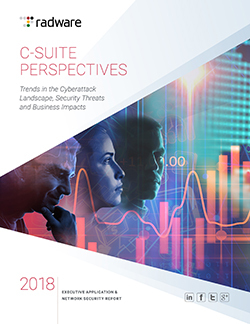 As cybercriminals become more savvy and increasingly rely on automation to achieve their mischievous goals, automation and machine learning will become the cornerstone of cybersecurity solutions to effectively combat the onslaught from the next generation of attacks. It will allow organizations to improve the ability to scale network security teams, minimize human errors and safeguard digital assets to ensure brand reputation and the customer experience. Previous PostHow Secure Is Your Digital Super Bowl Experience?